Accused mosque gunman Brenton Tarrant has been warned he's a marked man in prison. Gang members gathered at Hagley High School in Christchurch at the weekend to take flowers and offer their support to families affected by the tragedy. They said what Tarrant allegedly carried out was "wrong in every way possible". 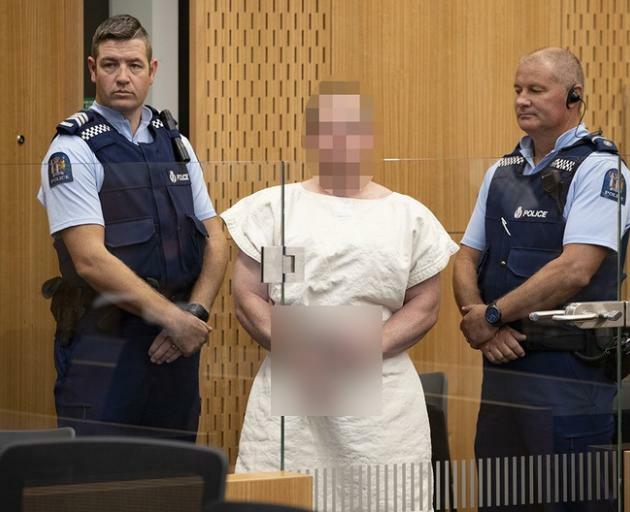 Speaking to the New Zealand Herald, one man said the gang members had gone to the school to tautoko (support) the families. "Because they've come to New Zealand, they are part of us now. They are our people," he said. "That stuff that happened [on Friday], that was disgusting, there was no need for it. We're a club, we do our things but, nah, that's just wrong in every way possible." Another man told the Herald, "we've got friends inside too." He didn't elaborate but the warning was clear. Criminal justice advocate Sir Kim Workman said he'd heard from an independent source that Tarrant could be in danger in prison. Tarrant would essentially be kept in solitary confinement for his own safety, Workman said. That was the system for many other people who could be at risk in prison, including paedophiles, those who committed "particularly horrendous offences", and police officers or others in law enforcement that had been imprisoned themselves. "In my experience when you have got someone with that sort of profile, they do have contingency plans, certainly in the early stages of the sentence or when they're in remand." Tarrant would likely be kept in separate facilities with "fairly high security" where no other prisoners would have easy access to him. Prison officers might also be carefully chosen "to make sure that the prison officers aren't likely themselves to be tempted to deal with the prisoner themselves". Corrections has been contacted for comment.